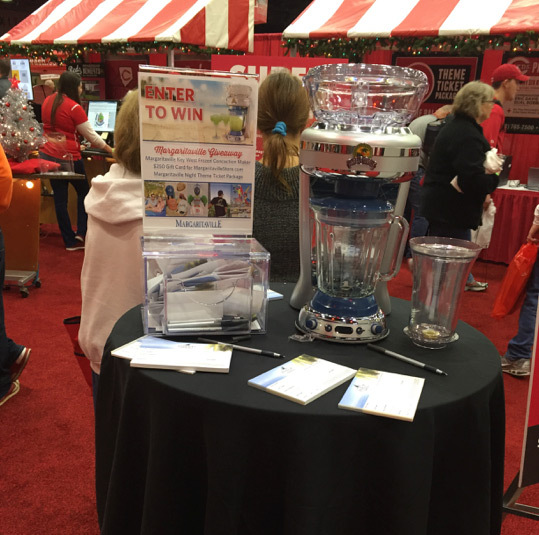 Margaritaville takes part in Redsfest in Cincinnati! It isn’t a Reds experience without seeing Rosie Red! She’s going to look good with a grass skirt and her FINS UP in July! Friday, July 14th will be Margaritaville Night at Great American Ballpark (more about that at the end!)! 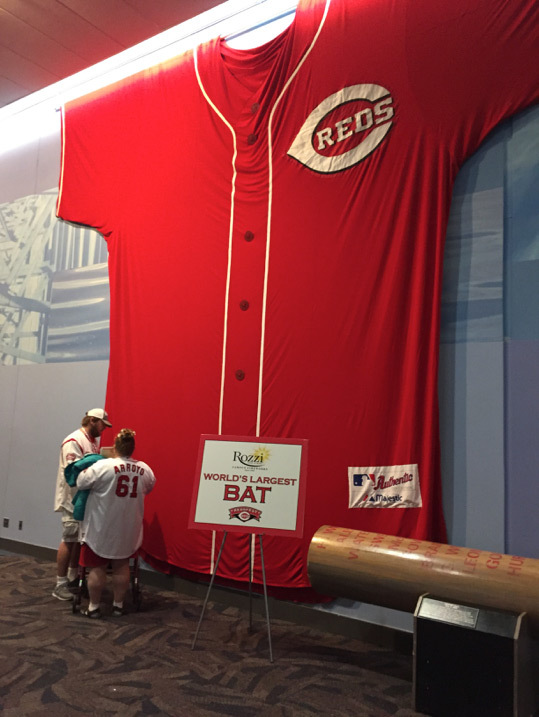 To help the FIN begin with the Cincinnati Reds, we took part in Redsfest, the team’s annual fan fest, this past weekend. 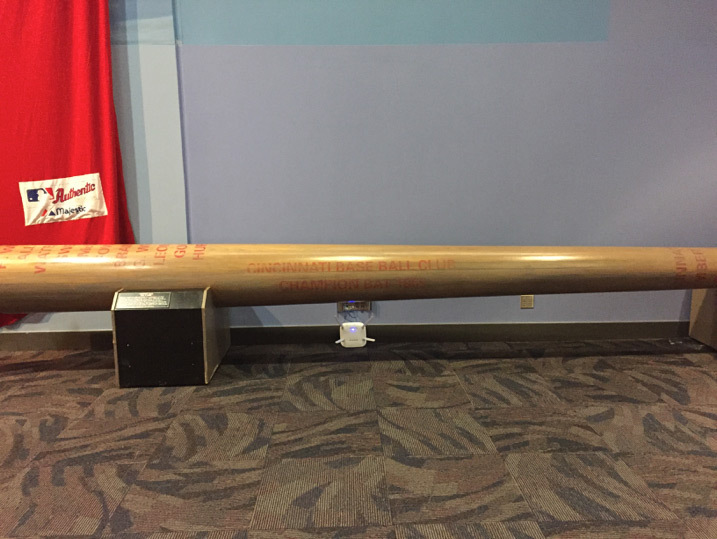 Mikayla, a Margaritaville college ambassador at the University of Cincinnati, was on hand to capture all the excitement… Walk into Redsfest and you’re greeted by the world’s largest bat! 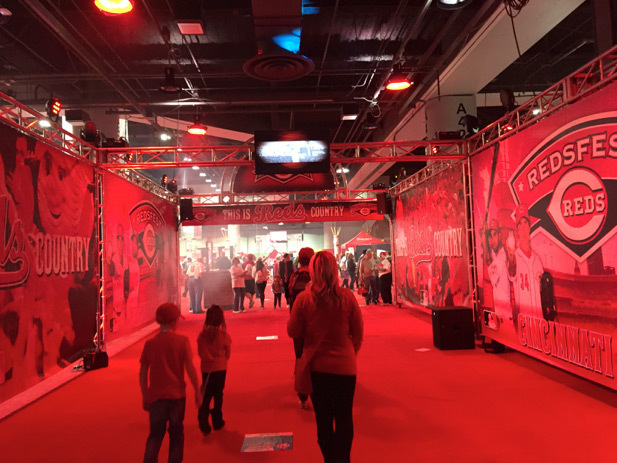 Even this won’t prepare you for the baseball mania you are about to experience... Are you ready for Redsfest 2016?! I hope you are, because this is REDS COUNTRY. Nothing is better than free, especially when you are talking about Margaritaville! In preparation for Margaritaville Night in July, the Reds raffled off a Frozen Concoction Maker! If you’re close to Cincinnati, or looking for your next Margaritaville road trip, get your tickets to the game here. 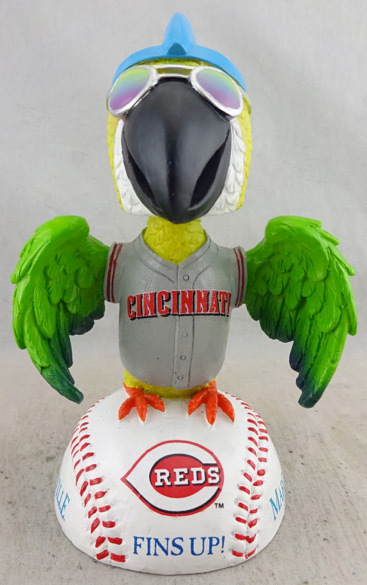 With the special theme ticket, you will get a ticket to the Reds game against the Nationals, a limited edition parrot bobblehead and a great seat for the postgame fireworks set to our favorite Buffett tunes. And while you’re in the area, make sure to stop by the Margaritaville inside the Jack Casino!